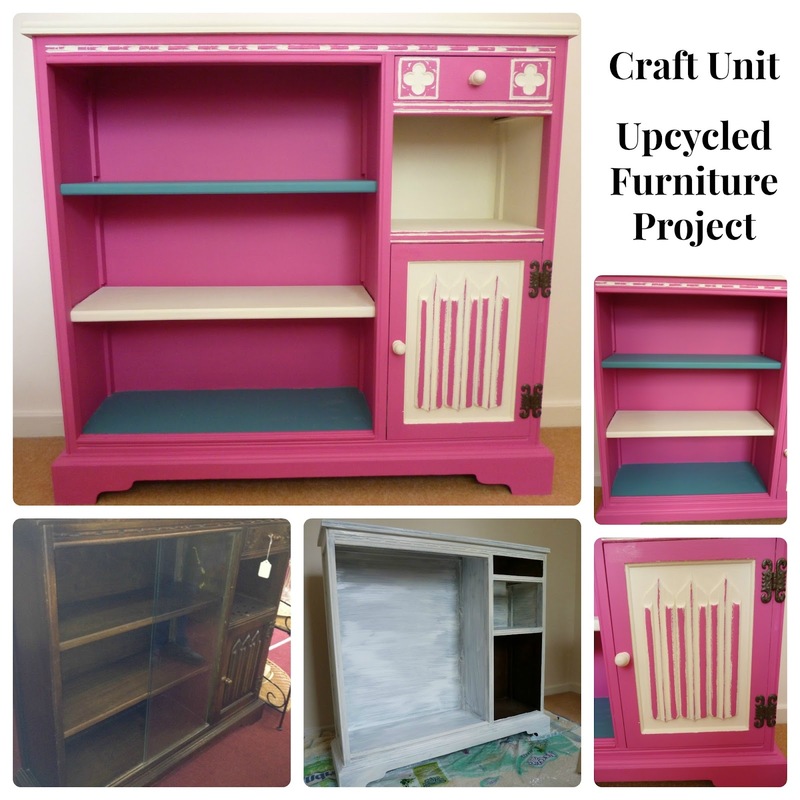 Last year I started to source some old furniture to help me create a sewing room. I had a spare bedroom that was under used, and a sewing machine needing a permanent location. I started to look around antique and second hand charity shops, in search of furniture I could Upcycle. I was soon attracted to a dark wood and solemn looking unit, I think I paid £20 for it. I could see it had lots of potential, a lot of sanding and some painting would give it a new lease of life. I removed the sliding glass panels, my plan is to put jars on the shelves containing with my sewing/crafting accessories. This was a lot of hard work made easier with a fabulous electric sanding gadget borrowed from my dad. Even when sanded back the wood was still very dark, and it is important to give the final paint colour a good surface to adhere to. Therefore it is important not to miss this step out, applying the primer with a paint brush gives the surfaces a good key for the final paint colour. 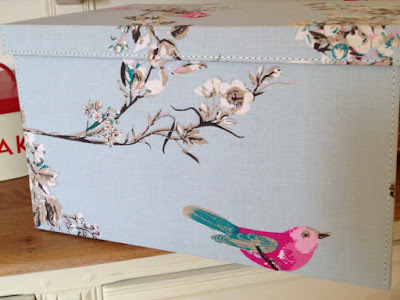 I went bold with colour choice, having been inspired by the pink and teal colours in a set of storage boxes purchased for the new sewing room. I know it will not be to every ones taste, but I did not want muted or safe colours for this room. I want to feel awake and enthused when I am sewing. That's absolutely gorgeous. You must have a natural eye for this type of thing. My friend has done exactly the same - buying small items from charity shops and sanded painted and waxed with lovely results! You, like her, should go into business!!! Great idea, might have a look myself for something similar. Isn't it so satisfying to see the before and after pictures and see the difference you've made? The boxes are gorgeous and match really well with the colours you've painted.